Why study Intelligent Adaptive Systems at Universität Hamburg? Universität Hamburg is Germany’s first democratically founded university with a long history, reaching back to the beginning of the 17th century. In 1911, businessman Edmund Siemers donated what would become the University’s main building. His motto, “To Research, To Teach, To Educate and Form”, can still be read above the main door and Universität Hamburg remains committed to these principles today. Accordingly, the University sees research and teaching as inseparable spheres of activity. It is their interaction which makes sustainable education possible. With more than 39,000 students, Universität Hamburg is one of Germany’s largest universities. Six schools with around 170 programs offer disciplines of a comprehensive university: Law; economics and Social Sciences; Medicine; Education, Psychology and Human Movement; Humanities; Mathematics, Informatics and Natural Sciences. 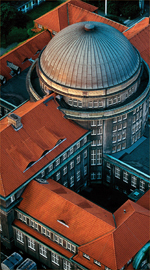 Universität Hamburg is Northern Germany’s largest and most diverse center of research. Its research profile encompasses a wealth of individual research achievements and extensive interdisciplinary cooperation. 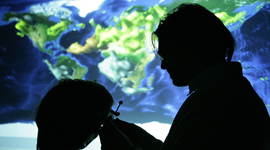 Universität Hamburg’s research profile is complemented by international and federally funded projects carried out jointly with other institutions, collaborative research centers funded by the German Research Foundation, research groups, and participation in International Max Planck Research Schools. 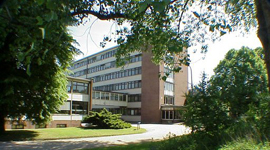 Located within the School of Mathematics, Informatics and Natural Sciences, the Department of Informatics has a comprehensive research scope, comprising almost all fields of computer science. It further profits from excellent interdisciplinary links to other fields within the school and beyond, e.g. natural sciences, medicine, social sciences, humanities, and education sciences. Through HITeC, the research and technology transfer centre within the department, cooperations and technology transfer with local companies are supported and industry relevant research facilitated. Following its mission statement of human-centered complex systems, the department consists of the two complementary research clusters “Complex Systems Engineering” and “Human-Centered Computing” and some further research groups. These 23 research groups with interdisciplinary and international links are supplemented by two graduate research groups. The International Graduate Research Group on „Cross-Modal Interaction in Natural and Artificial Cognitive Systems“, which has been established as a cooperation between the University of Hamburg and Tsinghua University, Beijing, China in 2006, focuses especially on international exchange of ideas. Over 20 professors and about 80 research associates are currently working in the department, supported by almost 40 administrative and technical staff members. Together they offer 10 programmes of study (five on Bachelor’s and five on Master’s level) with currently about 1500 registered students. 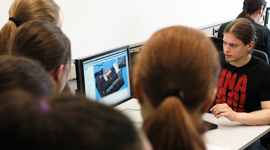 A large number of general computer pools with modern equipment and many specialised student pools within the research groups offer an excellent learning environment. An active student body with many established working and learning groups in a friendly, social environment completes the learning experience.